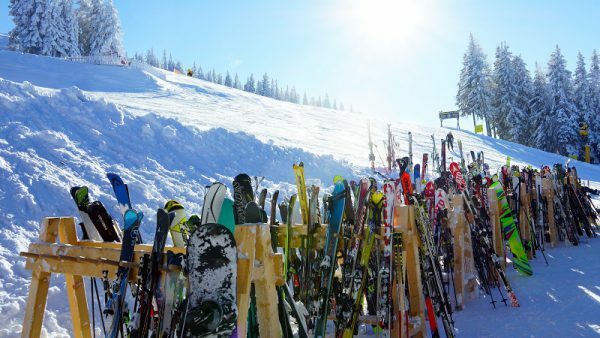 The leading ski resorts in Bulgaria will traditionally celebrate the World Snow Day next weekend on January 19 and 20. The capital city Sofia also participates in the global event for the 8th time. The World Snow Day is an annual International Festival with the aim to attract more children on the snow. In the year 2019, 469 events will be held around the world. As a traditional participant in the world event, the Bulgarian resort prepares many surprises for its little ones and grown-up guests on the slopes and snow parks on the 19th of January (Saturday). The festival events continue all day. They include free ski and snowboard lessons for everyone who wishes to make their first steps in the winter sports, free access to Borokids Park for the youngest guests, demonstrations on mountain safety from the Mountain Rescue Service and the Bulgarian Extreme and Freestyle Ski Association, freestyle lessons on Borosport Snow park, and many others. The World Snow Day is a traditional event in Pamporovo. There will have sweet temptations, hot drinks, music, and rewards for the participants in the event. There will have lots of fun activities and prizes. Guests will find a Parallel slalom for skiing and snowboarding, amazing jump tricks – ski and snowboard, contests for the most beautiful snowman and the most beautiful snow painting, and a lot more. The event runs from 10:00 am – 14:00 pm throughout the resort and is open to all. Bansko also prepares numerous surprises for the World Snow Day. The main aim is to inspire children and families for winter sports. During the day will be held a Fun family race, free terrain park tips and lessons from professionals, kids ski games, mini kids slalom, hot chocolate to warm little hands, on snow inflatable castles and obstacle courses, a DJ party with live music. On January 20, 2019, there will are various snow sports activities including free lessons for children and adults lead by professional alpine ski and cross-country ski instructors. There will also be ski demonstrations by young ski competitors and ski coaches. If there will be not enough snow, the event will move in the nearby Vitosha Mountain.